I was recently interviewed for the Advance Your Art podcast, hosted by Yuri Cataldo, director of Business of Creative enterprises in the Department of Marketing Communication at Emerson College in Boston. 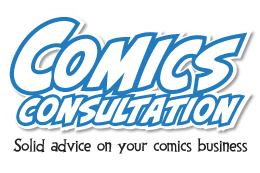 Advance Your Art focuses on arts entrepreneurship, so it was right in the wheelhouse of what I discuss at comic conventions, books and here at Webcomics.com. My introduction to comics. I tell the story about how I got hooked on comics when one of my uncles — a trucker — brought a box of coverless comics from the drugstore on his route. If I had gotten to the coverless Playboys and Penthouseshe had stashed in the bottom of the box, however, I might have never paid much attention to the comics. Why there’s no such thing as talent. In fact, I think telling a young person that they’re talented is harmful to them. I explain why. The importance of a college education to a cartoonist — but not the way you think it might be. Also, we talked about some of my favorite formative books on cartooning from my childhood — including How To Draw Comics the Marvel Way and The Complete Book of Cartooning. The (un)importance of ideas. Here’s another artistic concept I think we get dangerously wrong. We focus on getting an ideainstead of putting our creative energies towards the really important stuff — executing the ideas we do have in a new and innovate way. Why I don’t talk about new projects. 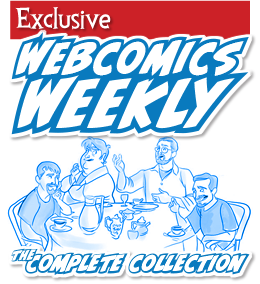 The early days of webcomics: The “free” comics fallacy and the Print vs Web wars. If you missed the first part of the 2000s in comics, you’ll want to hear this. 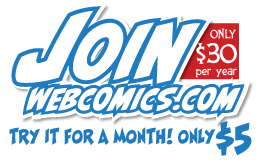 The rise of adblockers: The business of webcomics is in flux as we speak. We talk about what’s working and where the industry is going. How can newspapers survive? I lay out a very simple plan. Really. The stories behind the creation of Evil Inc, Courting Disaster and Phables. The importance of knowing how to run a business is just as important as learning your art.